Whether working around the globe at mines and drilling locations, or in labs analyzing data, geological and petroleum technicians help scientists identify locations that indicate the presence of potential resources such as oil and gas, minerals, or metallic ores. 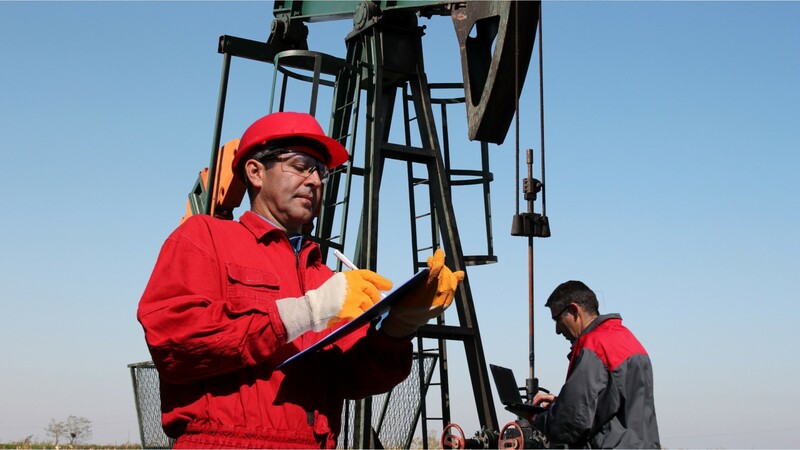 In the field, geological and petroleum technicians use sophisticated equipment, such as seismic instruments, to gather geological data. Under the supervision of geologists and engineers, they gather rock and soil samples, and work with environmental scientists and technicians to monitor the environmental impact of drilling and mining. In laboratories, these technicians analyze samples for evidence of hydrocarbons, useful metals, or precious gemstones. They analyze data, produce maps, and write reports detailing a site’s potential for further exploration, or explaining a current site’s productivity. Most geological and petroleum technicians work standard full-time business hours, except when they’re working in the field. Fieldwork is conducted outdoors in all types of weather, sometimes for weeks at a time and at times in remote locations. Many technicians work in mining-related operations, oil and gas extraction, and for engineering services. Jobs in this field typically require an associate’s degree, or two years of college courses in applied science or science-related technology. Some highly technical jobs require a bachelor’s degree. See more details at O*NET OnLine about geological sample test technicians. Geological Sample Test Technicians by U.S. Department of Labor, Employment and Training Administration is licensed under a Creative Commons Attribution 4.0 International License.